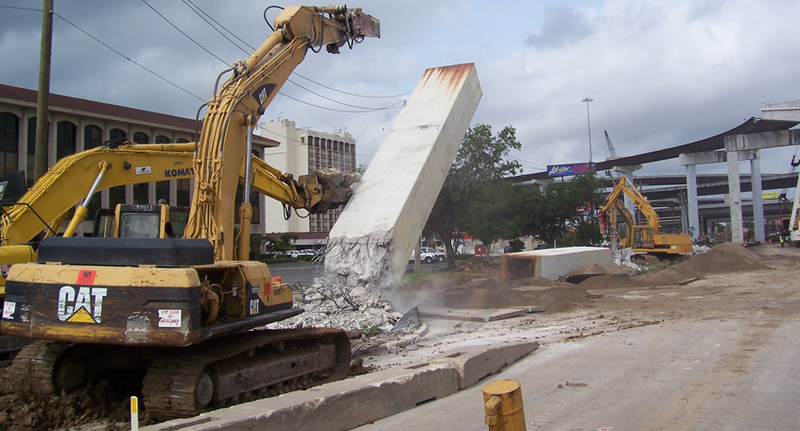 To build the new IH 10/ Beltway 8 Interchange as part of the Katy Freeway Reconstruction Program, Williams Brothers contract included the demolition of the existing full, complete interchange. 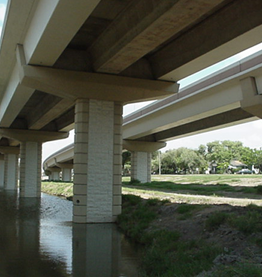 The existing interchange was completed in 1991 and did not fit the design schematic. 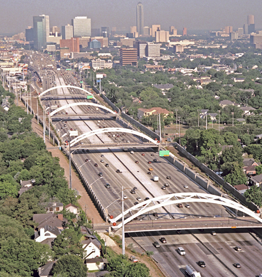 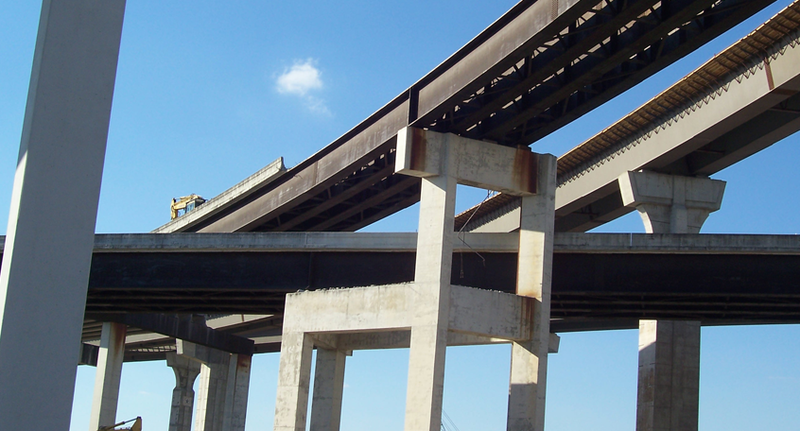 This was a complex demolition plan requiring close coordination with TxDOT, Harris County Toll Road Authority and the project team. 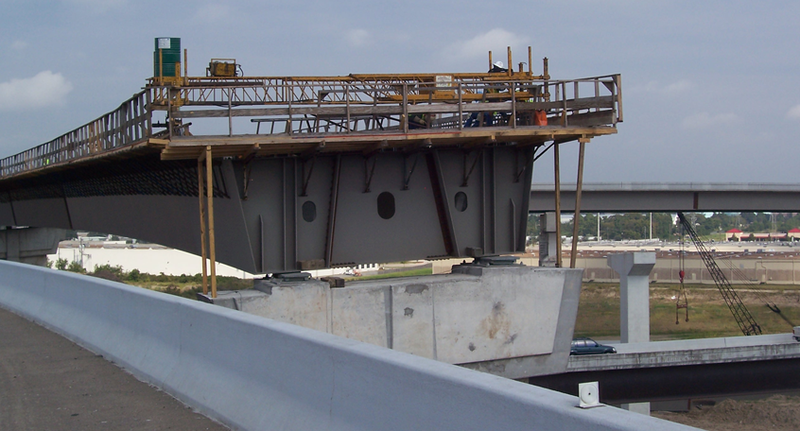 The project required accurate site assessments of the integrity of the bridge decks and columns, and the area above and below the bridge (wires, other bridge structures, signs, utilities etc.). 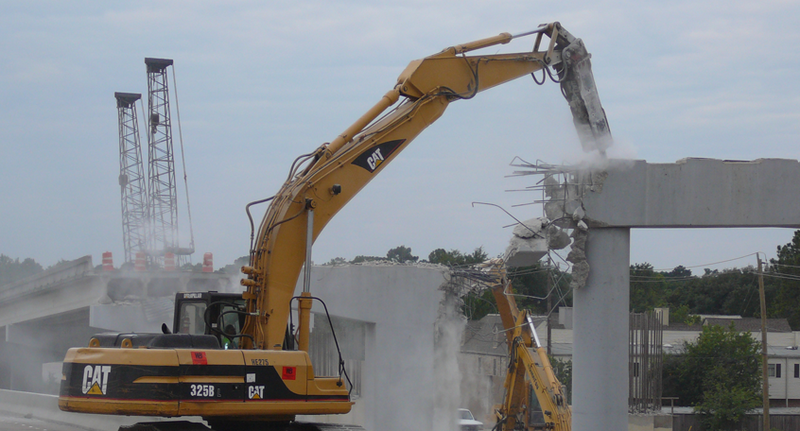 Demolition was performed with strict adherence to safety and environmental compliance. 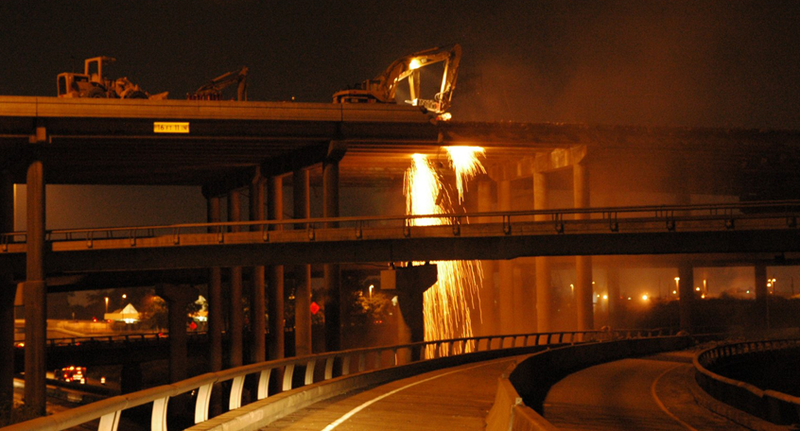 Work was primarily performed at night to minimize impact to the traveling public. 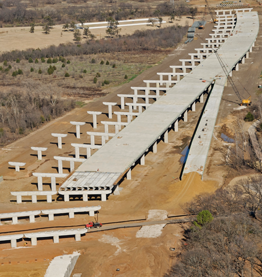 Williams Brothers removed 12,000 tons of structural steel plate girders and steel caps; and 28,000 cu yds concrete with some caps 100’ in the air. 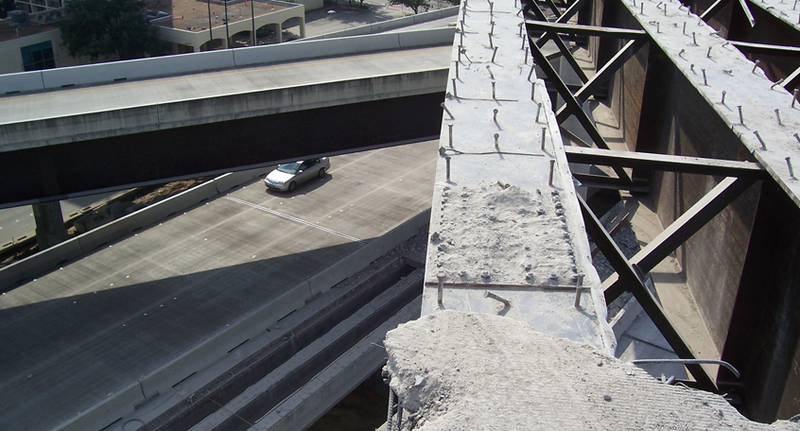 Steel and concrete materials were also recycled and re-purposed on the project.